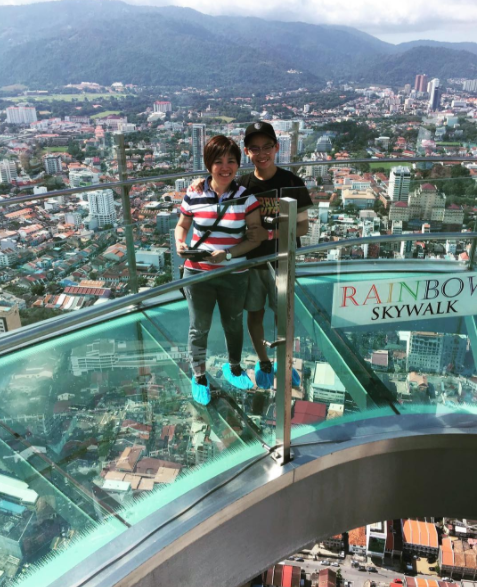 At 68 floors up, The Rainbow Skywalk isn't a walk for the faint-hearted. 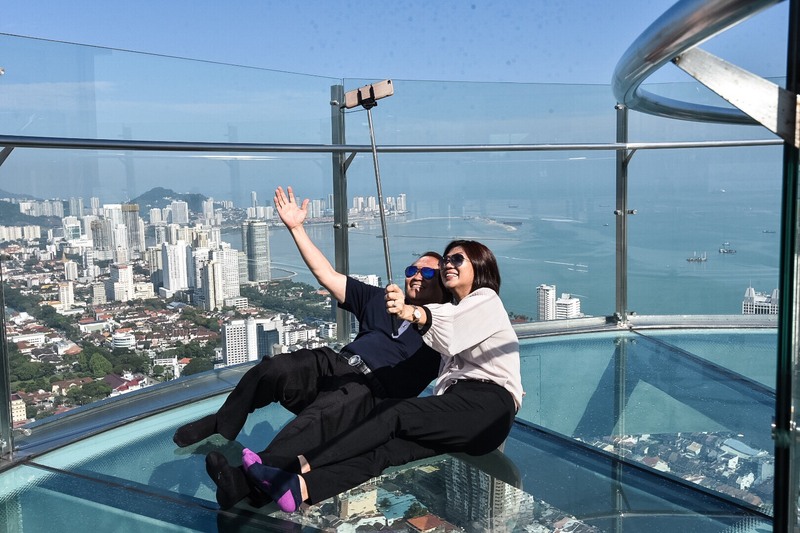 There's a new attraction in Penang and it's gonna require some nerves of steel to try out. 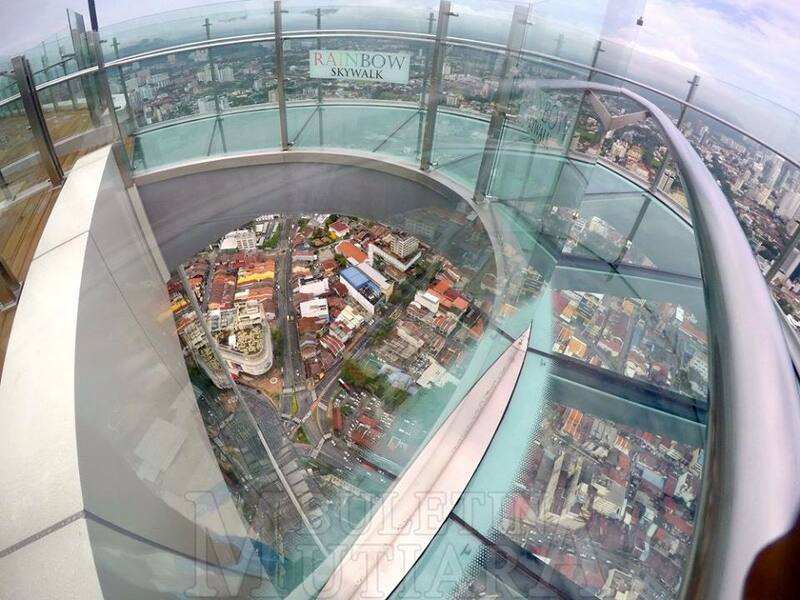 Situated on top of Komtar Tower, The Rainbow Skywalk is the highest skywalk in the country! 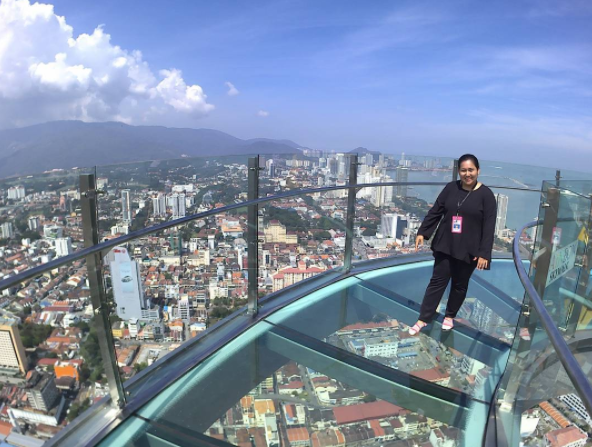 Komtar - the 6th highest building in Malaysia - is now home to The Rainbow Skywalk, a semi-circle glass path just several metres out of the building, and it is not for the faint-hearted. 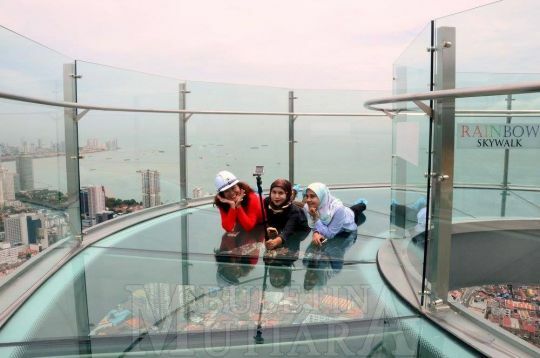 According to The Star, the glass was heat-treated, temper-proofed, and laminated by Universiti Sains Malaysia through a series of vibration, wind and pendulum tests so you won't have to worry about it cracking under pressure! Back in 2012, OWG won a 45-year lease to revitalise the building. “A lot of people have been talking about the tower being rundown, the tower has been neglected, so we thought it would be something that we can do to make it great again,” said OWG’s chief executive officer Richard Koh as quoted by Channel News Asia. 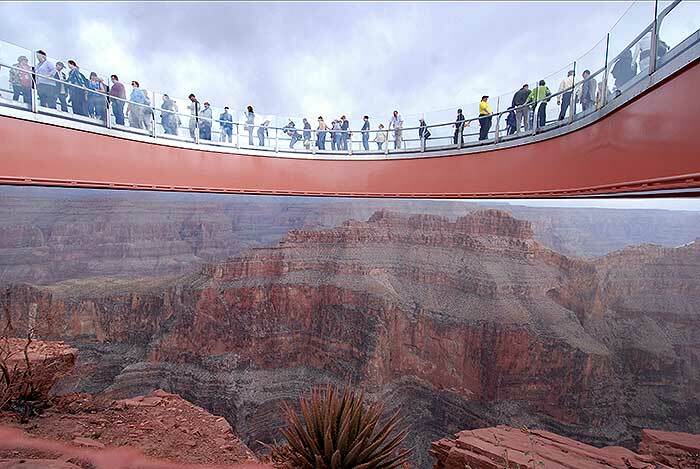 “We want to enhance the whole tower and bring more family attractions in," Koh added. 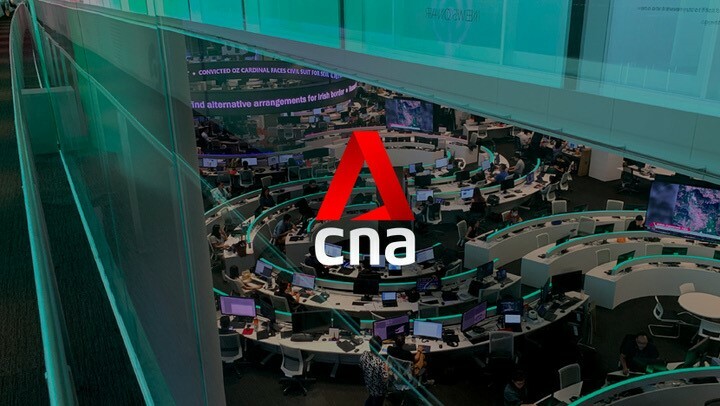 The company has added 3 additional levels to the building, bringing it to 68. 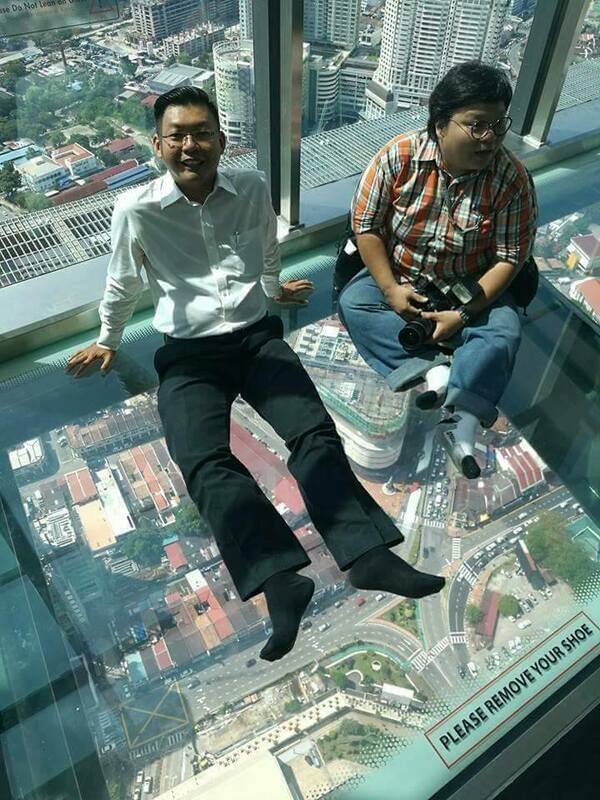 Aside from the skywalk, an observatory deck filled with glass-to-floor windows was also added at Level 65, the original top level of the building. 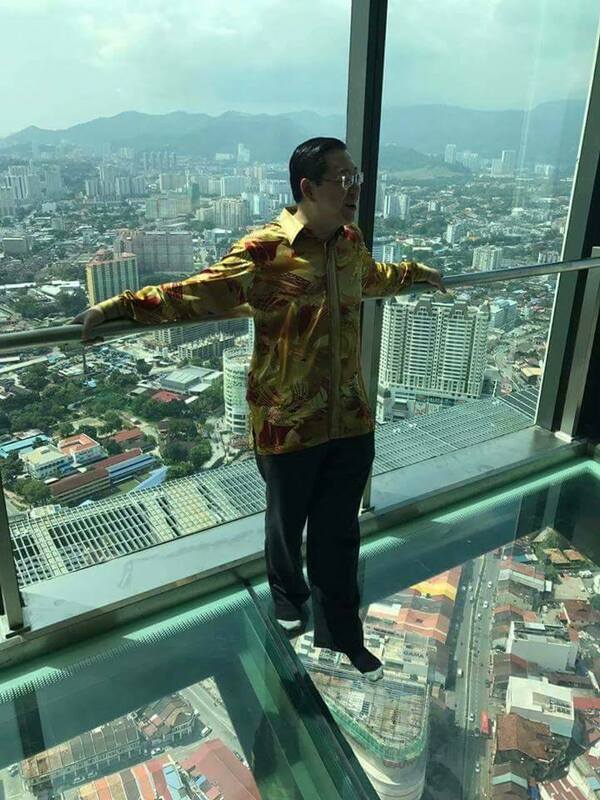 The glass panels allow visitors to enjoy panoramic views of Penang without having to step out in the open like the Rainbow Skywalk. That's not all. 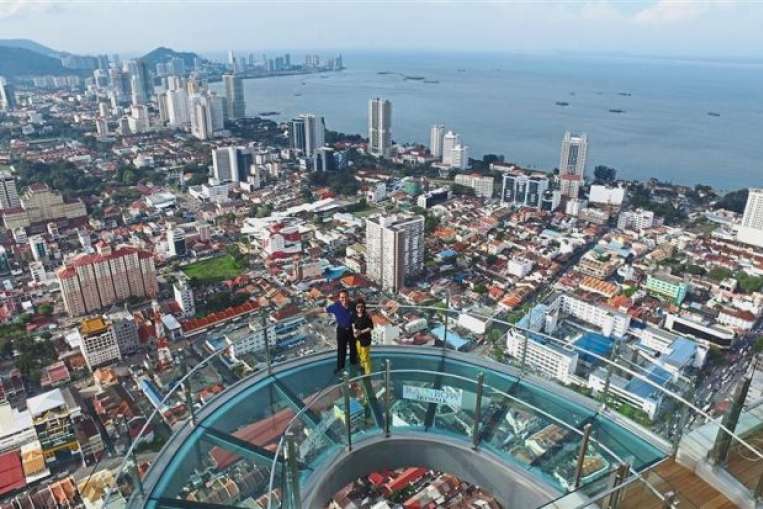 A number of family attractions were developed at Level 5 for locals and tourists who aren't fond of the heights to enjoy. 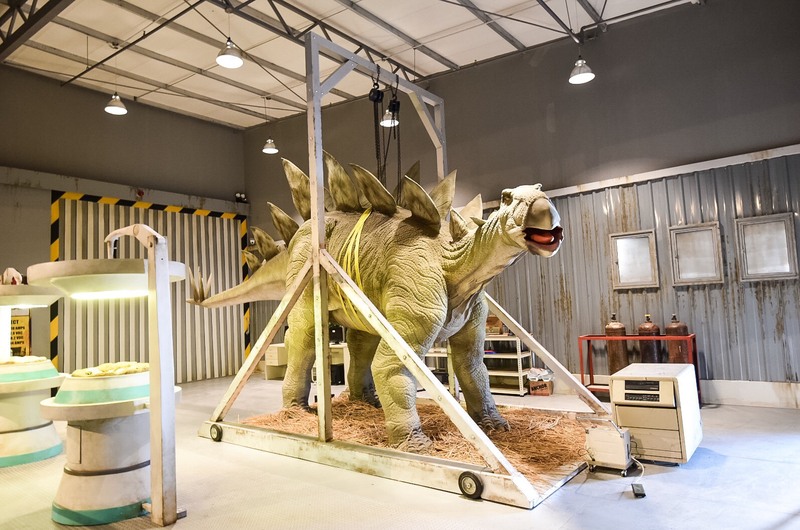 For starters, the Jurassic Research Center is an interactive walk-through attraction featuring animated dinosaurs and educational exhibitions. There's also a 7D Discovery Motion Theatre features virtual reality and simulators. Yup, that's CM Lim Guan Eng holding hands with Minister of Tourism Nazri Aziz. Definitely something you don't see everyday, eh? 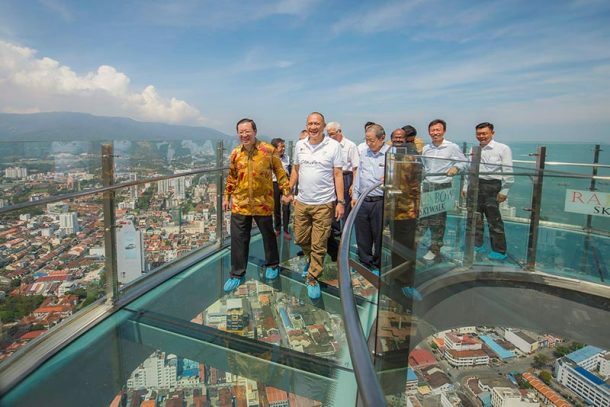 "We have seen a revival of both the tourism and manufacturing industry to be a dynamic Penang, and now (the) new Komtar is reborn as a symbol of success from the wreckage of failure," said Lim. 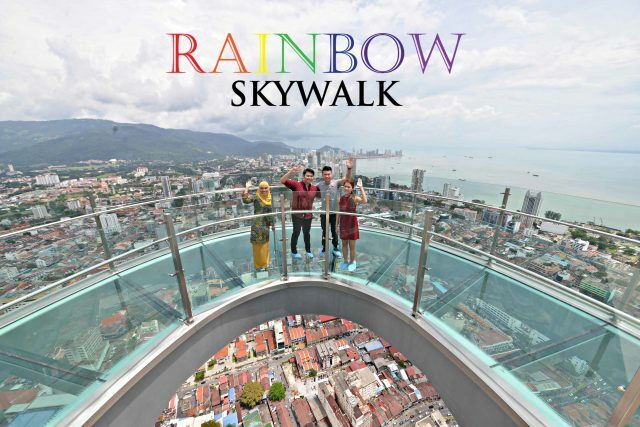 So if you and your friends are looking for something excited to do this holiday season, why not drop by The Rainbow Skywalk for one of the most exhilarating walks of your life? 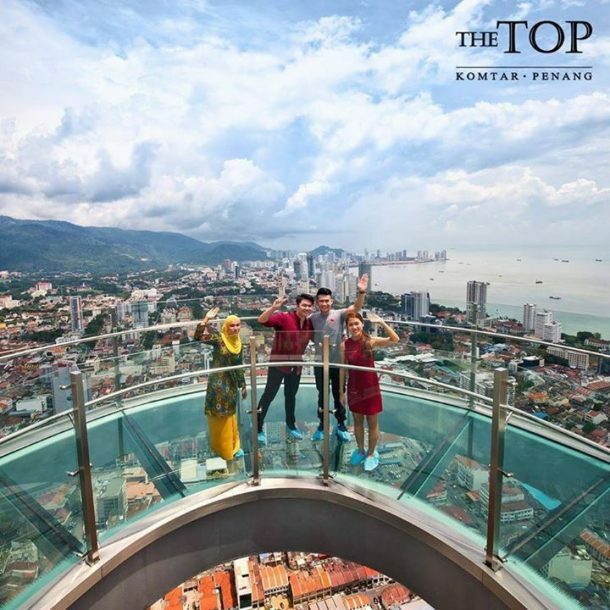 Location: The Top, Komtar, Jalan Penang 10000 George Town, Penang. Ticket prices: Adult RM88 (MyKad holders) and RM118 for non-Malaysians. Children RM58 (MyKad holders) and RM88 for non-Malaysians.